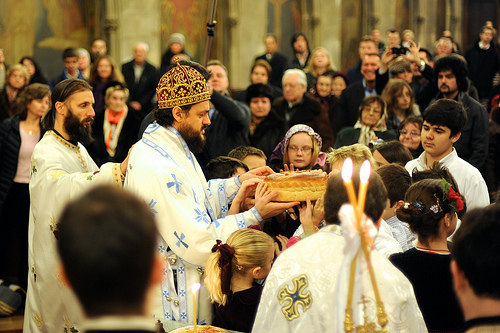 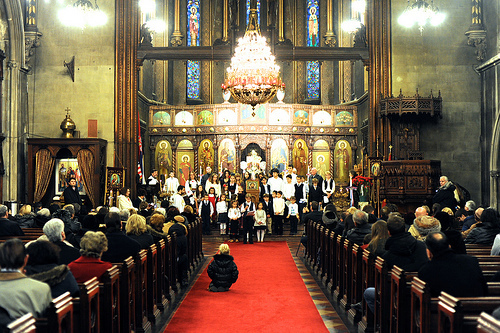 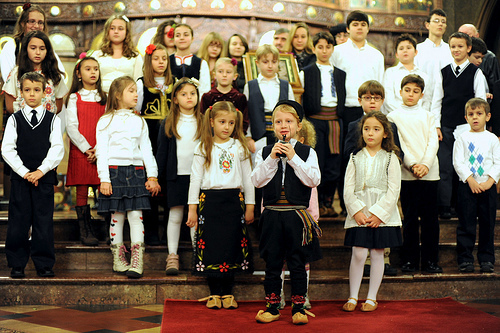 New York, NY - On Sunday, January 29, 2012 the cathedral slava of the St. Sava Serbian Orthodox Cathedral in New York City was celebrated. 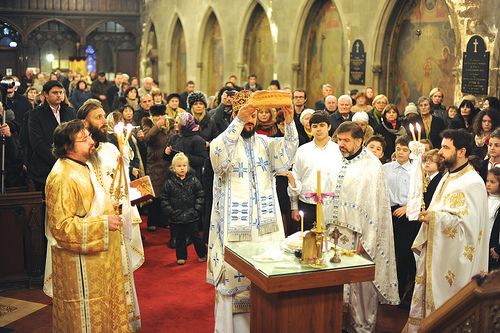 On that occasion His Grace Bishop Maxim of Western America led the solemn liturgical celebration with the concelebration of the cathedral dean, V. Rev. 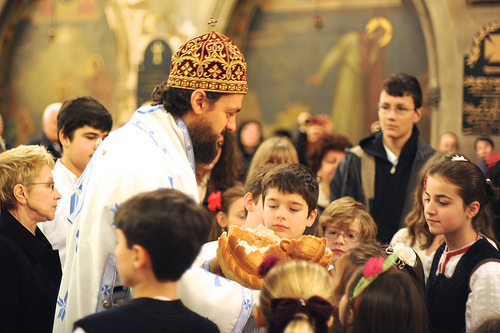 Djokan Majstorovic, Fr. 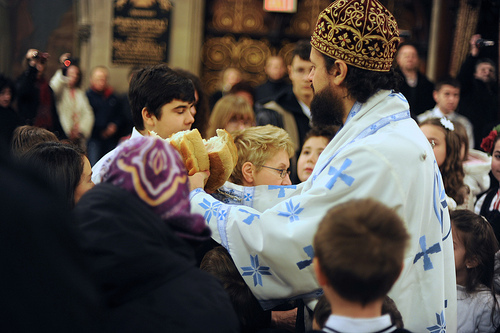 Vladislav Radujkovic, guests from the Seminary of St. Tihon and two deacons. 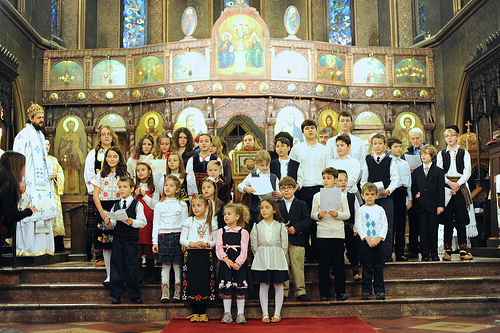 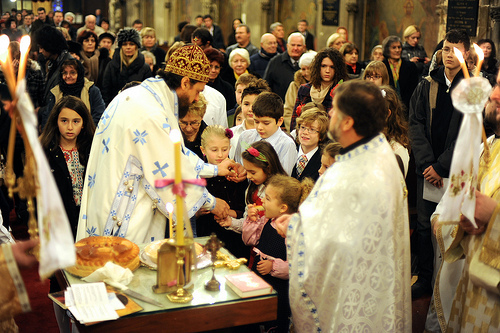 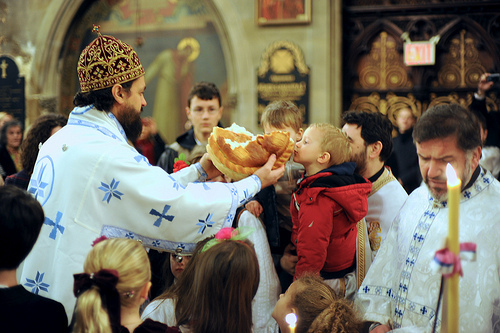 After the Divine Liturgy the slava cake was blessed and cut, which was then turned by the hands of dozens of children, the Sunday School students, along with the bishop and the students of the Serbian language school of the Serbian Club in Queens.